Simple squeeze-bottle application means it’s easy to make! 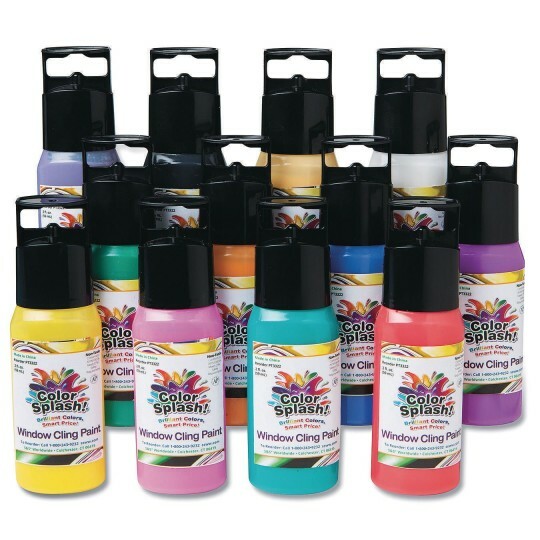 12 bright opaque colors in 2-oz. squeeze bottles with precision tips for easy control. Non-toxic. Assortment includes: black, purple, pink, green, peach, white, magenta, turquoise, orange, yellow, red, and blue. Plastic sheets not included. Protect skin, clothing, and work surfaces as this concentrate color may stain.